Dragon Quest Heroes 2 will be launching on PlayStation 4 on April 25th, 2017 the games developers have now confirmed. As well as releasing an announcement trailer to provide you with a glimpse at what you can expect from this new game. During which four players can enjoy co-operative multiplayer to take on swarms of enemies and challenging boss mobs, say the games developers. DRAGON QUEST HEROES II is a hack-and-slash, field-roaming Action RPG that sends players on a new adventure to restore order in a once peaceful world filled with hordes of monsters and battles of epic proportions. Up to 4 players can band together in cooperative multiplayer to conquer swarms of enemies and defeat challenging boss monsters. 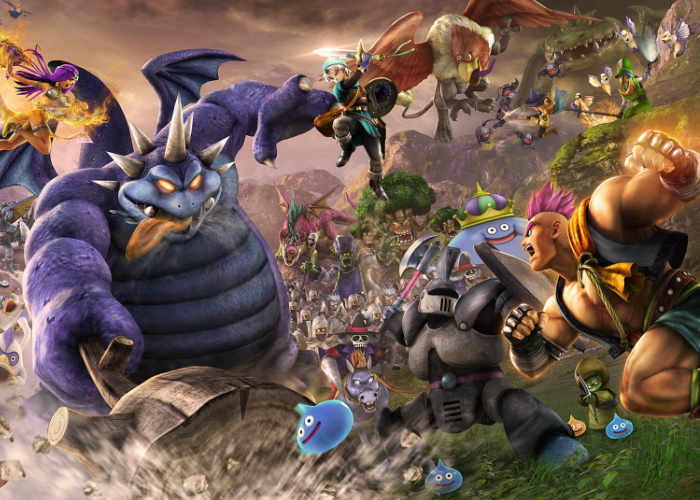 There is also a cast of many playable characters each with unique moves and abilities – including a host of familiar faces from the DRAGON QUEST series and four brand new heroes that must team up to defeat an unknown threat looming over the Seven Realms! To learn more about the latest game in the series Dragon Quest Heroes 2 jump over to the official website via the link below.